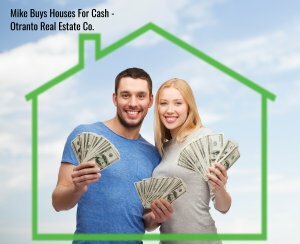 We Buy Houses In Raleigh NC For Cash! Local Home Buyers, No Repairs, No Hassles! We Buy Houses For Cash in Wake & Durham County NC. Check Out How Our Process Works. We’re Ready To Give You A Fair Cash Offer For Your House. Otranto Real Estate Co – Mike Buys Houses is a local company that buys houses directly from homeowners and we can close when YOU want. Stop the frustration of selling your unwanted property, we buy houses fast, regardless of condition. Avoiding foreclosure? Behind on payments? Facing divorce? Moving? Upside down in your mortgage? Liens? We specialize in solving complex real estate problems, even when Inheriting a property via probate, we can help when dealing with complex estate matters. It doesn’t matter whether you live in it, you’re renting it out, it’s vacant, or not even habitable. We are cash home buyers in Raleigh that pay closing costs, and attorney fees. Don’t worry about fixing or repairing anything, we buy houses as-is! Basically, if you’re searching for “cash home buyers near me” in Wake and Durham County, we’d like to make you a fair cash offer and close on it when you’re ready to sell. If you’re uneasy about “we buy houses scams”, check out our reviews and see how our clients love working with us. 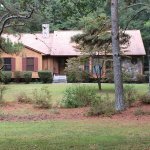 Do You Need To Sell Your House in Raleigh NC? Even if an agent can’t sell your house, we can help. (Selling a house on the MLS is a complex process with lots of red-tape!). Selling to us is very simple and hassle-free. We use very simple agreements without tricky contingencies. When we say we will buy your house, we mean it! And as a bonus, you won’t need to clean up and repair the property. We’ll know very quickly if we can help you, and unlike selling through an agent, you don’t have to wait to see if the buyer can get financing… we’re ready to pay cash for houses today! We help property owners just like you, in all kinds of situations. From divorce, foreclosure, death of a family member, burdensome rental property, and all kinds of other situations. 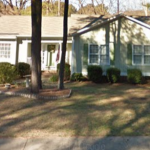 We buy houses in Raleigh NC and surrounding areas and pay a fair cash price, fast. Sometimes, those who own property simply have lives that are too busy to take the time to do all of the things that typically need to be done to prepare a house to sell on the market… if that describes you, just let us know about the property you’d like to be rid of and sell your house fast for cash.